UNITED NATIONS, Aug 18 2015 (IPS) - As the number of civilians impacted by the intensifying conflict in Afghanistan rises along with the fighting, humanitarian agencies are struggling to meet the needs of the wounded, hungry and displaced. The first half of 2015 has seen “record high levels” of civilian casualties, the United Nations relief agency said Tuesday, with civilian deaths touching 1,592 and total non-combatant casualties standing at over 4,900 – a one-percent increase compared to the number of casualties in the same period in 2014. Fresh fighting in the provinces of Helmand, Kunduz, Faryab and Nangarhar are indicative of the geographic spread of the conflict, while tensions and sporadic clashes all across the central regions are forcing huge numbers of civilians from their homes. 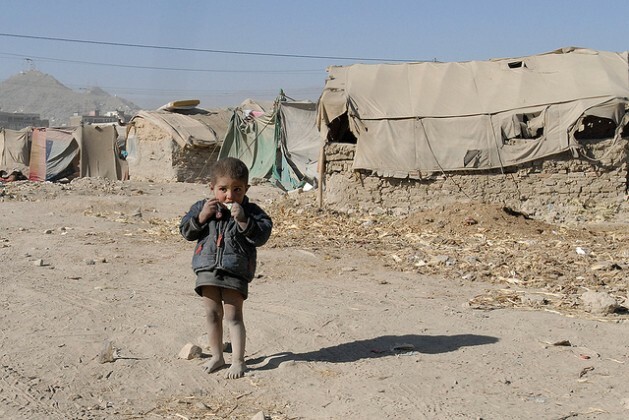 An estimated 103,000 people have been displaced by the conflict in 2015 alone, including from locations hitherto untouched by forced population movements including Badakshan, Sar-i-Pul, Baghlan, Takhar and Badgis, the U.N. Office for the Coordination of Humanitarian Affairs (OCHA) said in its mid-year review released on Aug. 18. Clashes between the Taliban and other armed opposition groups are becoming more frequent, and the fragmentation of these groups only means that both the complexity and geographic extent of the conflict will continue to worsen. Having received only 195 million dollars, or 48 percent of its 406 million-dollar funding requirement as of July, the U.N.’s humanitarian response plan is faltering. Funding for every single relief “cluster” identified by OCHA is failing to keep pace with civilians’ needs. So far, the U.N. has received only 3.5 million dollars of the required 40 million dollars for provision of emergency housing, while funding for food security and health are falling short by 56 million and 29 millions dollars respectively. Far more refugees have returned to the country, primarily from Pakistan, in the first half of 2015 compared to the same period last year, with 43,695 returnees as of July 2015 compared to 9,323 in 2014. U.N. officials say they need at least 89 million dollars to adequately meet the needs of refugees, but so far only 22.5 million dollars have been pledged. As is always the case, providing adequate water and sanitation facilities is one of the top priorities of the humanitarian plan in order to prevent the outbreak of disease, but though the U.N. has put forward a figure of 25 million dollars for this purpose, only 15 million dollars are currently available. “An increase in people requiring humanitarian assistance coupled with insufficient funding for food security agencies, particularly WFP [the World Food Programme], means that programmes for conflict IDPs, vulnerable returnees, refugees and malnourished children are all seriously under-resourced and in some cases have been terminated,” the report revealed. Data on affected populations are believed to be incomplete owing largely to inaccessibility of the most heavily embattled regions, prompting U.N. officials to warn that the real number of people in need of critical, lifesaving services and supplies could be even higher than current estimates. *CORRECTION: An earlier version of this story incorrectly stated that civilian casualties in the first six months of 2015 saw an increase of 43 percent compared to the same period in 2014.